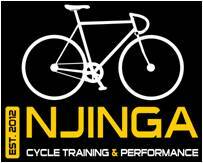 I ndoor cycling lab open to all fitness levels & ages. You don’t have to be a cyclist to join us. Sign up to a fun, like minded community and motivational environment that will TRANSFORM your fitness and challenge you to get results. Using state of the art Wattbikes, coupled with SMARTER training methods, we will take your fitness & cycling further than you ever imagined possible.